The sound of the breaking of the 76th seal of the Roboplastic Apocalypse is the echo of a 30 years ago stampede of beeping, blooping, zipping, zapping, tape deck transforming, twin drill spinning, suction cup sucking, dinosaur stomping, Lamborghini crashing robots parading through the pages of Penny Power! 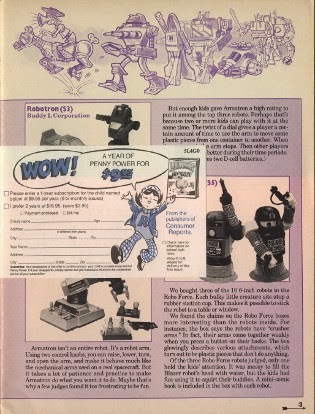 Yes never before or since has a magazine ignored all the hype and marketing to bring kids the brutal truth about how much bang you got for your toy robot buck in 1984. This Consumer Reports magazine for kids took on all Tronians in an article titled "The Robots are Coming" from their Oct/Nov '84 issue before anyone even knew what a Decepticon Communicator was! 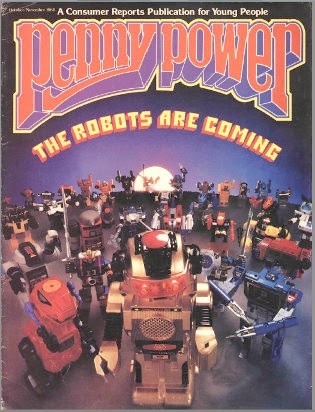 Penny Power pulled no punches in its objective look at nearly every major robot line fighting it out in the early days of the Toy Robots Wars of the 1980s. 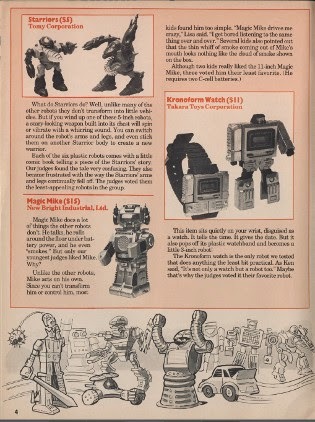 It's the Starriors vs Armatron, the GoBots vs the GoDaiKins, RoboTron vs Robo Force, and Transformers vs...Magic Mike? Who will win? Who will lose? Whose transforms will leave the kids confused? Find out all this and more in this ONE WATCH TO RULE THEM ALL edition of the Podcastalypse! Read along with your own copy of the article here! Waaaay back in episode 18 of the Podcastalypse I did a review of a Penny Power article from '85 where they evaluated some cool toy robots like the Zoids Giant Zrk, Starriors' Deadeye, and the Robotroid Space Station. But during the review I mentioned how there was an earlier Penny Power magazine article I remembered with tons more robot reviews in it that I didn't have. Then a couple months ago I talked to myself some more about how I'd missed out on an auction for that very most legendary issue and felt terrible about it. 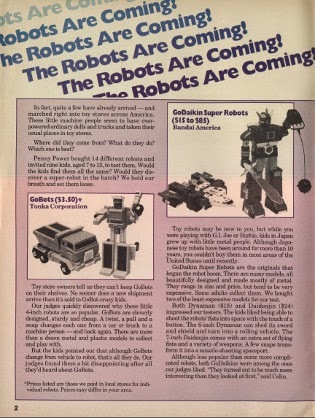 I felt bad because when it comes to my love of toy robots, Penny Power's "The Robots are Coming" article in their Oct/Nov 1984 issue is ground zero. I was a kid when it came out and it made a huge robot raygun blast right through my brain. In this episode I talk about the circumstances under which I saw it first come and go through my life in 1984 when I was in first grade reading it at the school library, taking it for granted and eventually seeing it nevermore. I had pretty much given up hope of ever finding it again because even on eBay issues of Penny Power are few and far between. Then last week the big penny in the sky used his power to give me another shot when I thought all my luck was spent. I was grateful and I learned that in life you can't count on second chances, but you can count on eBay's saved search alerts to let you know when somebody is selling the crap you want. So the other day I got an email alert from eBay that someone was selling a stack of Penny Power magazines. I was super excited but the auction description said they ranged from '81 to '94 and although there were something like 24 issues in there, the range was wide enough that there was no guarentee that my issue would be one of the ones in there. What made it tricky to guess was that the only picture in the auction was of a pile of magazines where only the cover of the one on top was clearly visible. But thanks to the tiny little picture of the cover I saved from the last time someone was selling one, I was able to zero in on a very tiny sliver of the cover to the magazine buried at the very bottom of the stack. It took a ton of photo manipulation but I swore I could make out the hood of Jazz, the deluxe Autobot car from 1984. I was still not 100% sure so I sent the seller an email message asking if it was indeed the Oct/Nov 1984 issue. Well waiting for him to get back to me was more than I could bear. What if someone heard me talking about how legendary and great this issue was and set up their own eBay alert so they could buy one if it popped up? I couldn't stand the suspense so I just went ahead and bought the lot before the seller got back to me, which he eventually did and confirmed it was the issue I was looking for. I was elated and amazed and I felt really really lucky at having beaten my phantom competition. Then I laughed because I realized in order for it all to have played out like it did in my mind, someone would actually have to be paying attention to my show since episode 18. 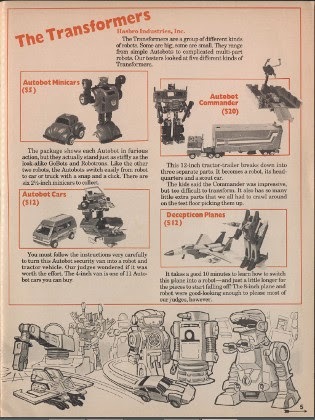 First up it's GoBots, GoDaikin, RoboTron, the Radio Shack Armatron, and Robo Force! Next it's Starriors, Magic Mike, the Kronoform Time Machine and then almost every assortment of Transformers available at the time. Playworld ever went out of business! Penny Power was the anti Dynamite! F.I.S.H.B.O.T. a few episodes ago WAS THIS VERY MAGAZINE! Kids of the 90s remember Penny Power in its renamed form as Zillions. Old episode I did about GoBots being dominant early leaders. You don’t go full dump truck in your first robots assortment! 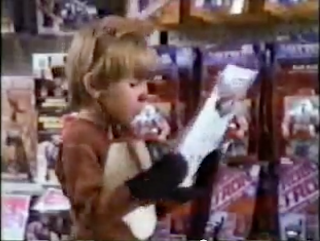 Playworld commercial with Robotrons behind the kid dressed like a reindeer. Wikipedia article mentioning Penny Power was harsh on Starriors. IS IRONHIDE WORTH THE EFFORT? Don’t Rocket Punch Your Friends! You gonna scan and post this? The "Read along with your own copy..." sentence is the link to the scan. Never heard of the Magic Mike toy robot before. Just looked it up. One of the selling points on the box is "it smokes".